Collins Booksellers - "Whatever!" by ELYCIA FISHMAN & Jobina Lehrman-Fishman, 9781456734206. Buy this book online. Whatever! 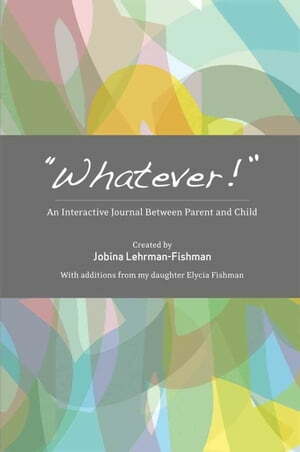 An Interactive Journal Between Parent and Child is a nontraditional book. It is designed to break the standard communication barriers that exist between adolescents, teens and their parents or guardians. This book provides new options when facing the expression and/or attitudes of Whatever! Techniques in this book offer concrete methods for communication giving proven examples of real life experiences. This easy-to-follow guide is an invaluable reference tool for parents and teens alike.